Geosciences is a small department and a close community. 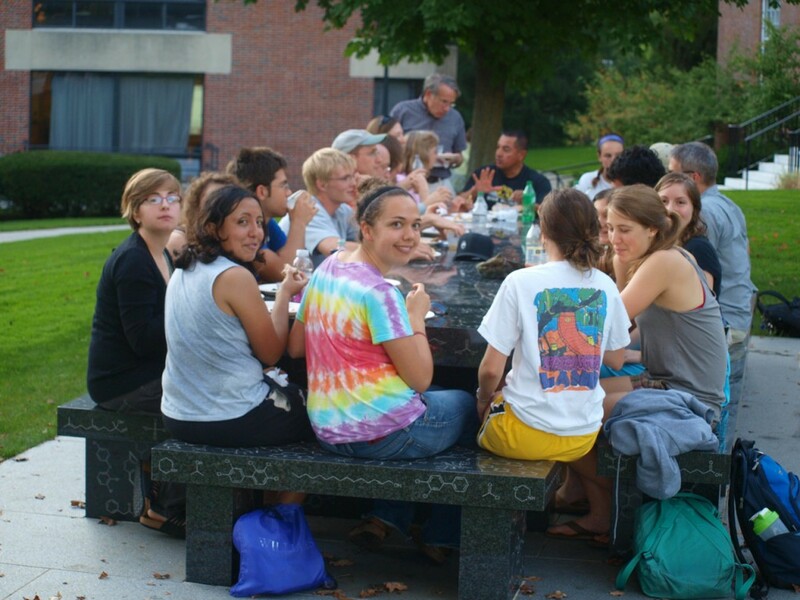 Having dinner at a professor’s house, chatting with visiting lecturers, sleeping on the couch in the Geo Lounge, going to the department cookout, working late with your lab partners in Clark Hall, guzzling hot chocolate in your morning class, or proudly wearing your Geosciences t-shirt are not uncommon. There is a fun, friendly atmosphere between majors and professors! To learn more about current opportunities with the department, check out the links on the right.